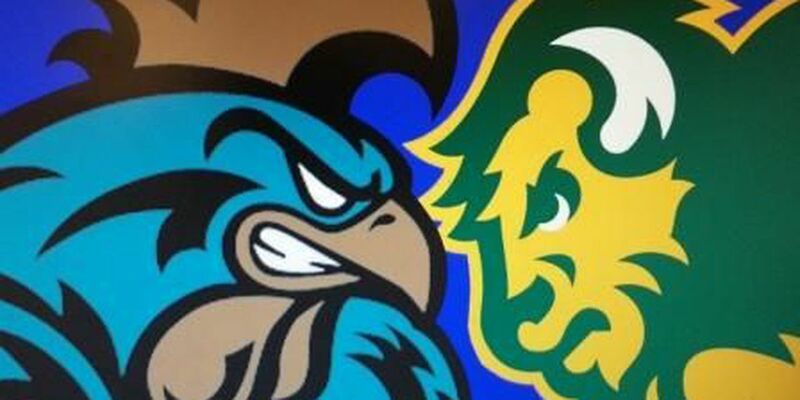 FARGO, N.D. (WMBF) - Coastal Carolina's football season came to a close against North Dakota State on Saturday afternoon, falling 39-32 to the Bison at the Fargodome. For the second straight year, the Chants end their season with 12 wins and with a loss to the Bison. North Dakota State advances to the FCS Semifinals. It has won the past three national championships. The Chants and Bison traded scoring blows for much of the game. After NDSU missed a 49-yard field goal that would have put it up ten with a minute to go, Coastal had one more possession with just over a minute to go. Alex Ross threw an interception on 4th & 12 to seal the game for North Dakota State. Wide receiver Bruce Mapp exited the game in the third quarter with an injury, but not before breaking Matt Hazel's school record for receptions in a season. He had four catches for 81 yards. De'Angelo Henderson ran for 143 yards and two scores, while quarterback Alex Ross threw for 197 yards, and ran for 20 along with two touchdowns. The Chants finish the season with a 12-2 record, with its only road loss coming in this game. Coastal now has a 4-3 record in the postseason in head coach Joe Moglia's three years at the helm.